I can't deny that Google needed to become more focused and they certainly need more cohesion and consistency in their UI, but Google is not Apple and they shouldn't try to become Apple. For example, I believe that some of the success of Android and the initial traction of G+ comes from an enormous community of developers and enthusiasts who 'love' Google and their products. If Google were to become too much like Apple it would be throwing this away. Apple is successful because it maintains focus and control by keeping everything proprietary. While this results in excellent products, they are not products I use because I prefer openness, even if the quality is not as stellar. Google, on the other hand, has managed to create great products in a very open way attracting people who value quality as well as people who value openness (such as myself). 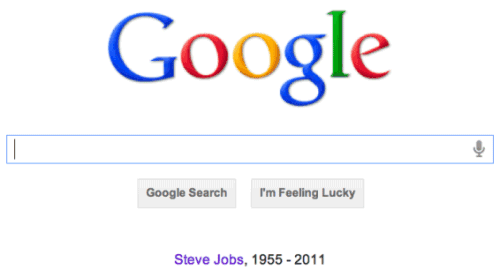 I hope that Google does not focus too much to gain a little extra quality at the expense of openness. I agree with Tom and disagree with Ionut. Google has the ability to integrate any product into any Google product. (For eg blogger with Google+). If they are interested, they would do it. But if they really want to wind down some product, not because it is useless, but bcoz it doesnt earn money for them, Google will use endless amounts of positive statements and plans (even the death of a person) to justify their Evil Business. Concentrate on 5 products? that's impossible. Ok, lets count: Search, Google+, Gmail, Docs, Blogger, Youtube, Android, Chrome, Maps, Books, (Translate, Chrome OS, Calendar, Reader). That's more than the count.. We dont just love 5 products of u google, may be that's why u merge all we love into one giant GOOGLE+... This doesn't seem right to me..
Everything else (Earth/Maps, Books, Translate, needs to become nothing more but a service used by one of the Big 5). If we can still have Gmail Labs and Maps Labs, then why not also Search Labs and Ad Labs and Android Labs? While I never even heard of Google Squared during its lifetime, I appreciated the instant-answer feature in normal search results, and would have liked to see that part of Squared continue to evolve (possibly into the same sort of semantic search that Wolfram Alpha tries to be). I agree that experiments are better in the framework of an existing product, but if Google's going to go that route, they need a Labs for *every* product. Absolutely,Steve Jobs is a great man! That's why Steve Jobs is considered as an inspiring man and even CEO of Google asked his advice. The fact right now is Apple become well-known with its product quality from notebooks, pcs, tablets to smartphones.. Thanks Jobs for your great works..